The Oriental Legazpi is a 115-room first class hotel in Legazpi City, Albay and is the only of its kind in the whole Bicol Region. It is situated atop the Taysan Hills offering its guests the most picturesque view of Mayon renowned internationally for its perfect cone shape. 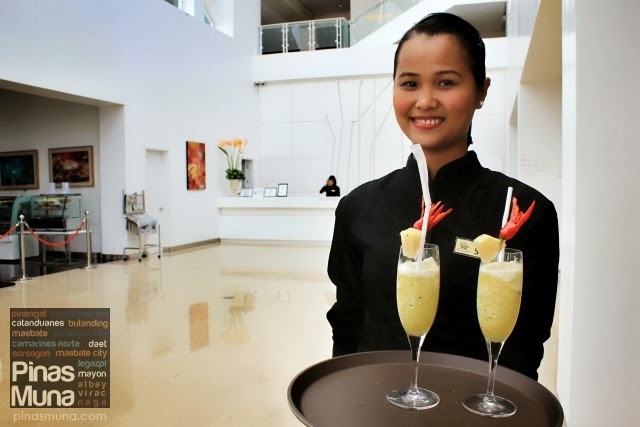 The first-class experience starts upon arrival at the hotel when guests are welcomed by a refreshing drink. It was an unlikely but surprisingly delish combination of pineapples and fresh basil leaves blended into a smoothie. More interesting was the mild hint of chili in the drink, yes chili! We guess it was the hotel's fun way of saying "Welcome to Albay! ", an expression of the Bicolano's "warm" hospitality. Very innovative indeed. Checking-in at The Oriental Legazpi also lives up to its first-class standards. It was very quick and efficient. 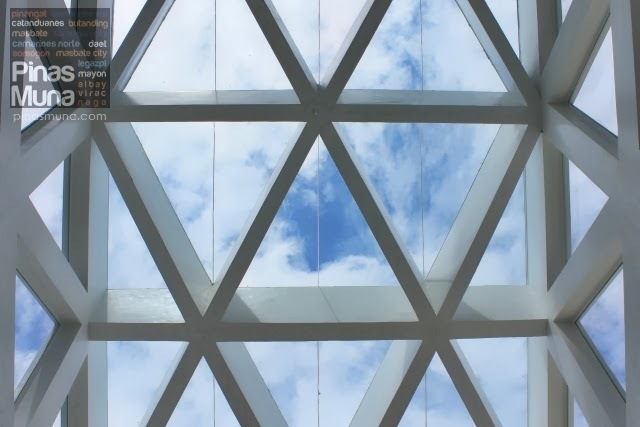 We hope we had more time to admire the bright interior of the hotel's lobby illuminated by the natural light coming in through the building's glass ceiling. 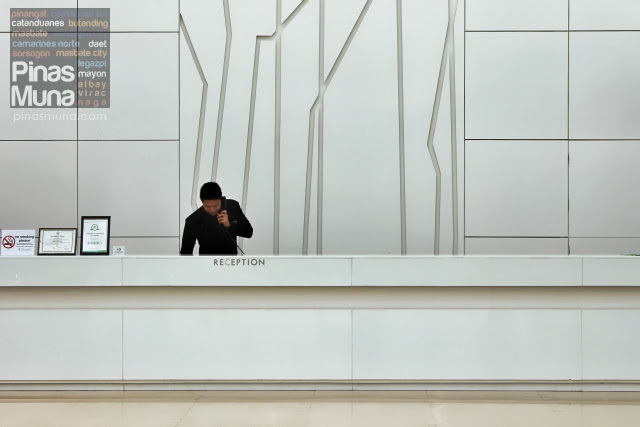 We were very preoccupied with staring at the geometric patterns of the ceiling and of the walls that we didn't notice that the front desk officer was already handing us our key cards. 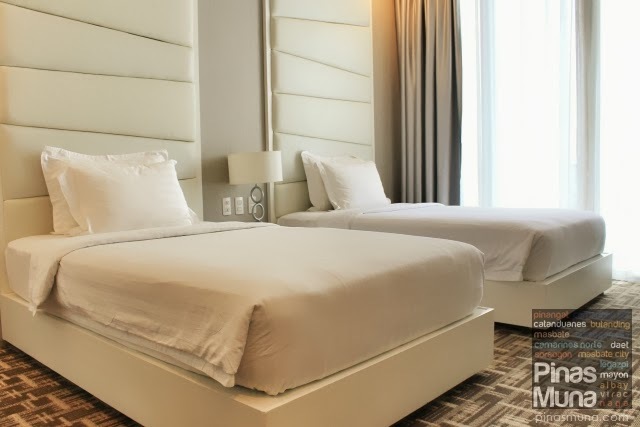 The Oriental Legazpi has nine room types, each having their own character and facilities that suit the different needs and lifestyles of the hotel's guests. 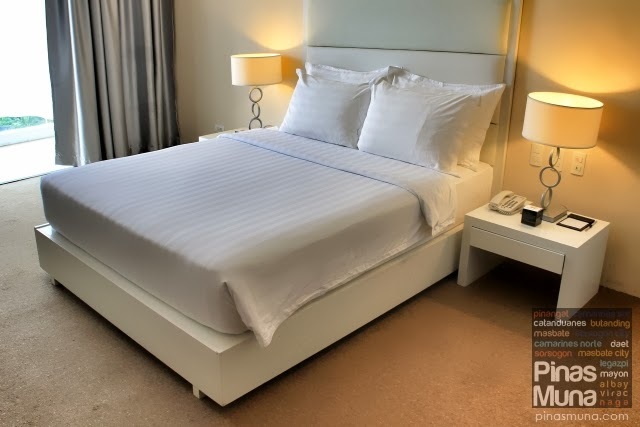 Designed for the savvy traveller who is always on the go and requires utmost convenience, The Oriental Legazpi's Deluxe Rooms offer comfortable accommodation with luxurious interiors of earth tone shades of silver and ivory white, matched with elegant fixtures. 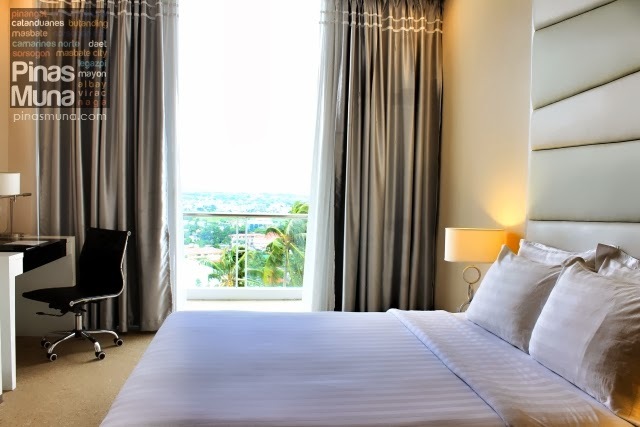 Deluxe Rooms are available in queen -sized and twin bed configuration. 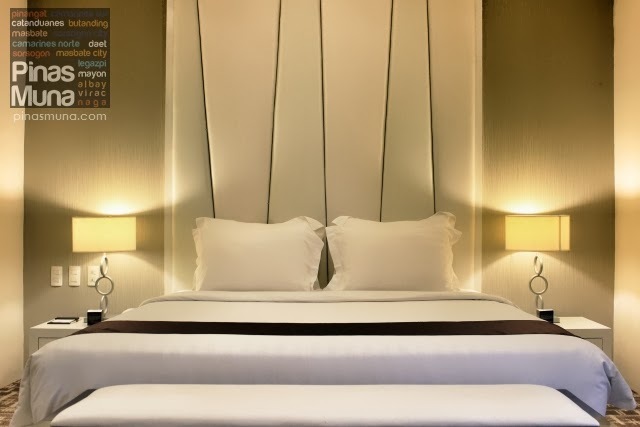 Medium firm mattress, plush pillows and clean linens ensure a comfortable and relaxing sleep at The Oriental Legazpi. Rooms are further categorized to Deluxe Mountain, Deluxe City & Deluxe Mayon. Each offers equally relaxing but uniquely stunning view of the country-side, the Legazpi cityscape and the majestic Mayon Volcano, renowned worldwide for its perfect cone shape. 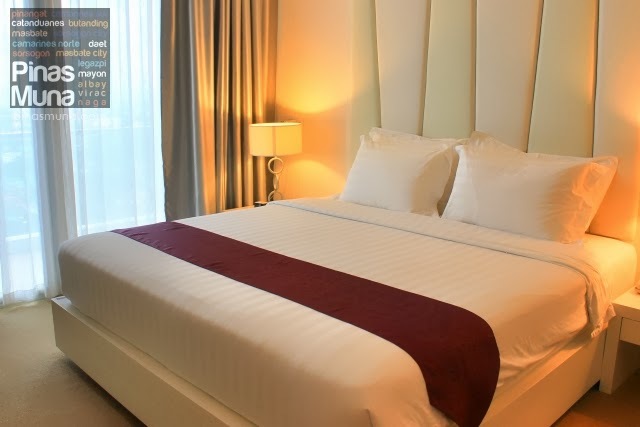 Deluxe Rooms are equipped with modern amenities such as centralized airconditioning, cable-ready 32-inch LED TV, coffee & tea making facilities, a refrigerator and mini-bar. A workdesk, IDD & NDD telephone system, and Wi–Fi Internet access will also keep the guest connected during their visit. There's hot & cold shower inside the bathroom with rain shower head. Complete toiletries and bathroom amenities, including a hair dryer, are also provided. For added security, Deluxe Rooms are also equipped with an electronic keycard door lock system and an electronic programmable in-room safe. The 72.5sqm Executive Mountain Suite and Executive Mayon Suite offer more space and luxury to travellers with more sophisticated needs. 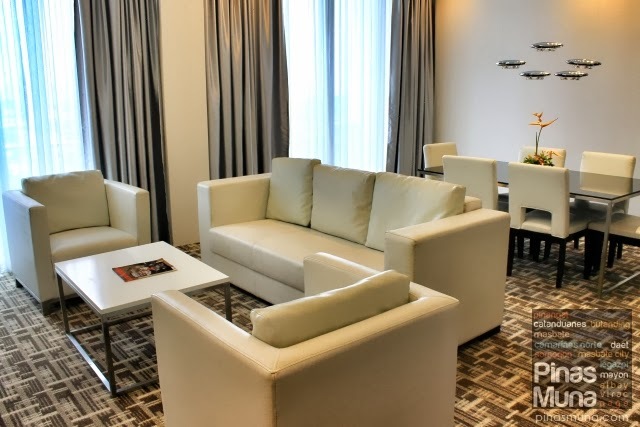 A haven for elegance and pleasure, Executive Suites have a bedroom separate from the living and dining area. 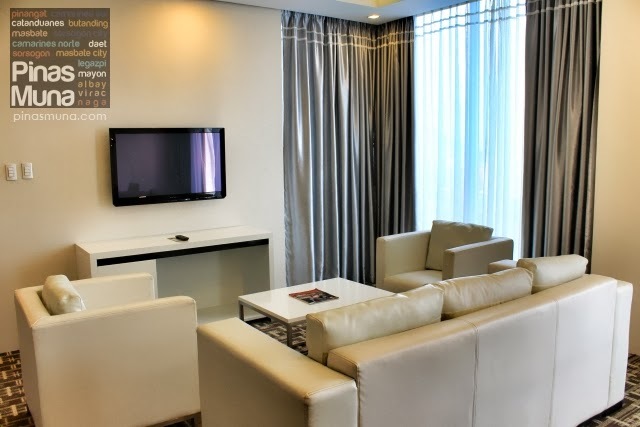 In addition to the security features standard in all rooms, the Executive Suites are equipped with more sophisticated amenities such as a bigger 42-inch cable-ready LED TV. 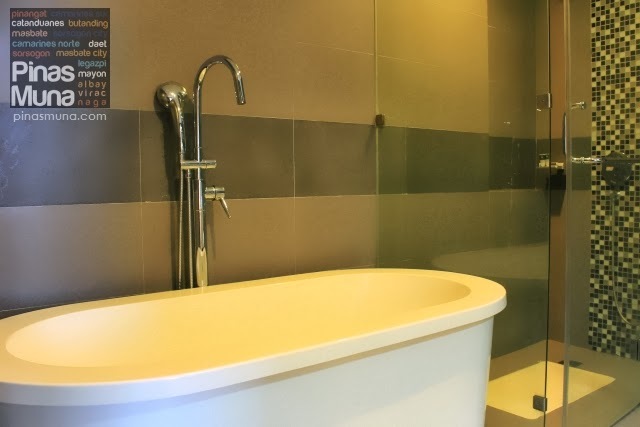 The bathroom has a bath tub and a walk-in shower with hot and cold water running from its rain shower head. Complete toiletries and bathroom amenities, including a hair dryer, are also available in the Executive Suites. Measuring at 112sqm, the Governor's Suite located on the fifth floor of the hotel is the largest and grandest among all rooms at The Oriental Legazpi. It served as residence to the most influential and affluent visitors of the province of Albay including President Benigno Aquino III himself. Gov. Salceda of Albay is also a frequent guest at the suite. The spacious master's bedroom has a king-sized bed and has its own private bathroom with bath tub and walk-in shower. It also has its own workdesk and a 42-inch cable-ready LED TV. The bedroom also has a spacious veranda with an unobstructed view of Mayon, the cityscape of Legazpi with the Gulf of Albay at the background. The Governor's Suite also has a connecting room complete with its own amenities. The Governor's Suite's spacious living area is equipped with centralized airconditioning, comfortable sofas, a 42-inch cable-ready LED TV. The ivory white-silver-brown interiors of the living room matches the theme of the master's bedroom. The Governor's Suite also features a spacious dining area which can seat six people. There's also a small pantry in the suite where food can be prepared for the guests. Will all its luxury and grandeur, the Governor's Suite of The Oriental Legazpi is definitely the ultimate status symbol in the Bicol Region. A first-class hotel is never complete without a topnotch restaurant. The Jasmine, located at the ground floor of the hotel, serves delectable Filipino cuisine as well as international favorites. Truly a restaurant at par with international standards, The Jasmine is a haven for foodies in search of culinary adventure and for travellers with discriminating taste. 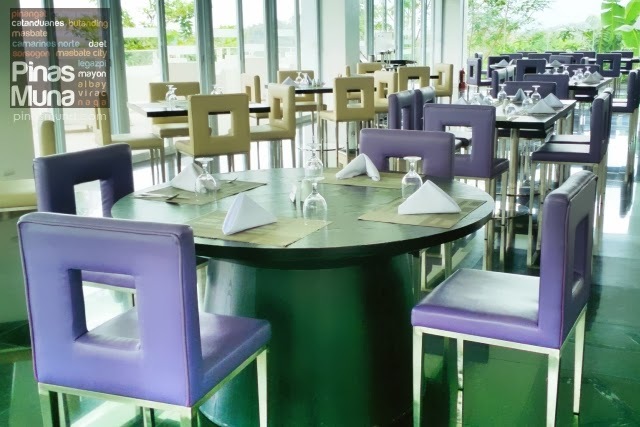 Read our feature article on The Jasmine Restaurant at The Oriental Legazpi (coming soon). 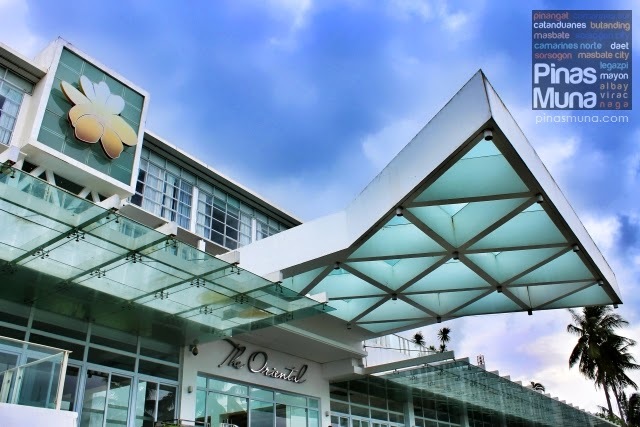 In line with the first-class standard of The Oriental Legazpi is The Oriental Spa, the only first-class spa in Legazpi. Guests who are in search of the ultimate relaxation experience will be pampered by the professionally trained therapists of The Oriental Spa. 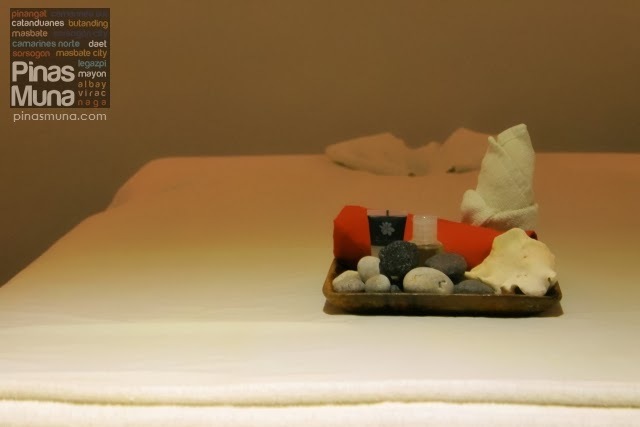 Read our feature article on The Oriental Spa (coming soon). 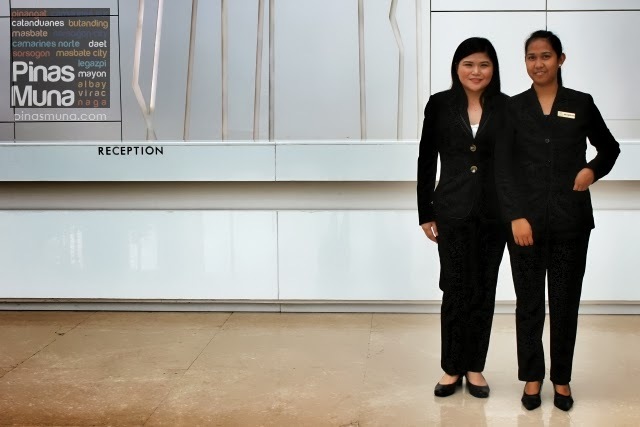 What completes the first-class experience at The Oriental Legazpi is not the amenities nor the food, but the people who deliver the first-class service. From the shuttle driver to the security staff, from the maintenance personnel to the front desk officer, from the food server to the chef, and from the hotel porter to the hotel managers, guests at The Oriental Legazpi will experience a consistent level of customer service expected of first-class establishments locally and internationally. This was our second visit to The Oriental Legazpi and just like a flower in bloom, you can only see her true beauty as time passes by. We can't wait to see you again. We can't wait to behold what you will become. What surprises you have for us when we return. Thank you very much The Oriental Legazpi for hosting us last September and allowing us to experience your first-class service once again. 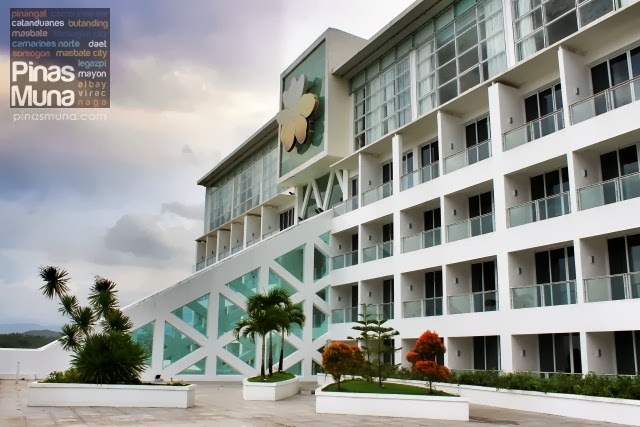 Book at The Oriental Legazpi and experience first-class hotel accommodation. Call the Manila Sales Office at +63 (2) 994 5644 | +63 (2) 856 4116 or The Oriental Legazpi at +63 (52) 435 3333 | +63 (52) 435 5555. For the latest offerings and promos log on to www.theorientalhotels.com. Like them on Facebook (fb.com/TheOrientalHotels.PH) or follow them on Twitter (@Oriental_Hotels). It's actually very intriguing dispatched remarks. All the comments are very cooperative and very good.